Property developer Stoford Developments has appointed McLaren Construction as main contractor to deliver the new £26.7m headquarters for growing global communications software company Metaswitch. The new five-storey, 66,000sqft commercial office building in Enfield, north London, will see the software company consolidate its three office locations into one, serving up to 500 people. The building will comprise a ground-floor reception with café, a state-of-the-art data centre, a rooftop conference centre, as well as a full-height feature atrium. The basement car park will accommodate 96 vehicles. Stoford director Gerard Ludlow said: “We are pleased to have reached the next stage of this major investment for Metaswitch by appointing a contractor to deliver this impressive headquarters. 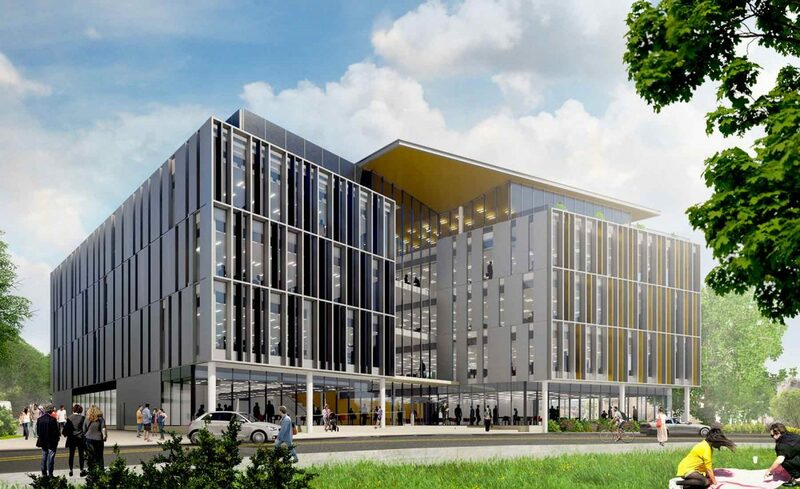 The Grade-A office building will aim to achieve the BREEAM ‘Excellent’ standard. The works will start in March and are due to complete in Autumn 2020.